The world’s first holographic object you can hold in the palm of your hand. Play, explore, and learn in magical new ways with a combination of virtual reality, augmented reality, and mixed reality experiences. 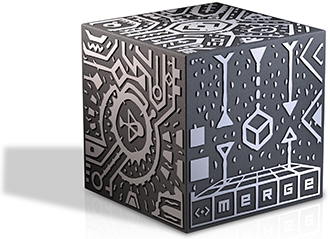 The Merge Cube gives you the power to play games, control holograms, and solve puzzles. Find the experiences you want at www.MergeCube.com.